They practice for years in cold, dark rinks with a single dream; they train for decades for one moment: to skate onto the ice with the whole world watching to try to win the Olympic gold medal. If they stumble, the gold is gone. If they succeed, their lives can be changed forever. 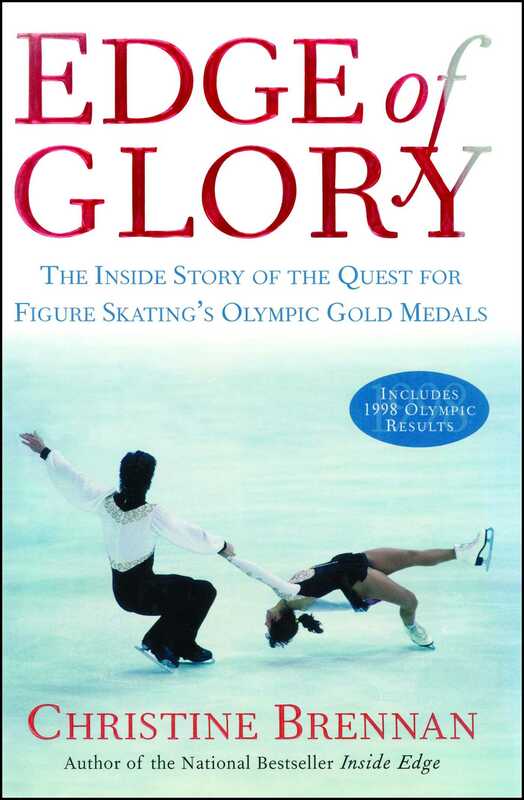 In Edge of Glory Christine Brennan tells the riveting stories of the world’s best figure skaters as they travel through the most intense year of their young lives. 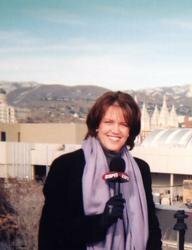 As she did in the bestselling Inside Edge, Brennan goes backstage at major competitions and behind the scenes at the practice rinks to chronicle the figure skaters’ quest for victory at the 1998 Winter Olympic Games in Nagano, Japan. The year opens with the 1997 U.S. national championships in Nashville, where the teenage Michelle Kwan, a favorite for the Olympic gold medal, dissolves on the ice during a wrenching four-minute performance. As Kwan bursts into tears leaving the rink, tiny Tara Lipinski arrives on the ice and steals the show. The crowd roars, and a new ice queen—all seventy-five pounds of her—is crowned. Tara shrieks in delight as she begins a run of historic victories, but she knows that she is paying a high price for winning. Living apart from her father, Tara can find her practice sessions overwhelming, and sometimes leaves the ice in a frenzy as her mother watches in horror. In the 368 days from Nashville to Nagano, other women will vie for the gold, including the unpredictable Nicole Bobek, the lyrical Lu Chen, and even a college graduate, Tonia Kwiatkowski, who would love simply to make the U.S. team. The men's competition has turned into an unprecedented jumping contest, led by Canada's controversial Elvis Stojko. But the men's field is deep, and nothing is certain when a skater flies into the air for a four-revolution jump. Todd Eldredge of the United States and Russia's Alexei Urmanov and Ilia Kulik are chasing Stojko, as are some youngsters, including America's top jumper, Michael Weiss. On the way to the Olympics, Brennan catches up with the famous and infamous, including Tonya Harding, Nancy Kerrigan, Oksana Baiul, Brian Boitano, Scott Hamilton, Rudy Galindo, and the exquisite Russian pairs. She introduces us to the people behind the scenes: the edgy agents who are never far from their cellular phones; the attentive coaches and choreographers who have devised the intricate moves that will determine who wins the gold and who does not; and the stern judges, who control the sport from their rinkside seats. But Edge of Glory is, ultimately, the story of the athletes who compete in the most popular and beloved of all winter sports. What drives these skaters through the year? What do they fear? What are their dreams? More importantly, who will win? And who will lose?